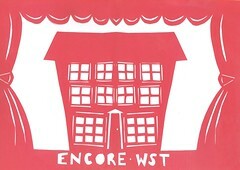 From 9th to 24th August I am taking part in ‘Encore WST’ at Gallery 10, 10 Gun Street, Reading. Following the success of the Whiteknight Studio Trail in June earlier this year, members of the Whiteknight Studio Trail are exhibiting their work in a new Gallery in their home town. I will be exhibiting a new range of knitted wrap scarves and mittens inspired by ‘Eastern European Folk’ and British painter Vanessa Bell.